Taking place each spring in the Flint Hills of Kansas, the 200-mile Dirty Kanza is known for its razor-sharp gravel, beautiful scenery and propensity to test a rider’s mettle. Gravel racing is different from other types of bike racing in that every rider faces the same challenges, chooses their own pace, and sets their own goals. It is because of the unique challenges presented by gravel racing that more and more women are getting involved. 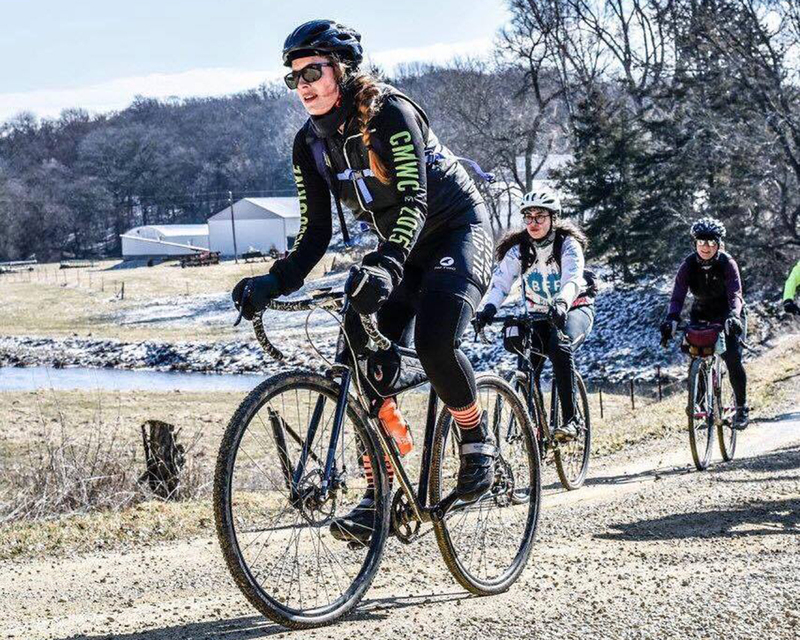 Read on to see what race organizers and bike shops are doing to help foster the recent growth of women in gravel cycling. In 2006, Dirty Kanza’s inaugural year, there were 34 riders. Each year since then the field limit has grown and the event has sold out in a shorter amount of time, with over 2,000 riders participating in the 2017 edition 200-mile race. Although the race itself has grown over the years, participation levels were still skewed disproportionately towards men. While analyzing the race’s statistics, Dirty Kanza Operations Manager LeLan Dains and Executive Director Jim Cummins noticed an interesting trend; women had identical finish rates and comparable finish times to their male counterparts. These facts confirmed what many already knew about the Dirty Kanza. The race extends beyond a mere physical challenge. 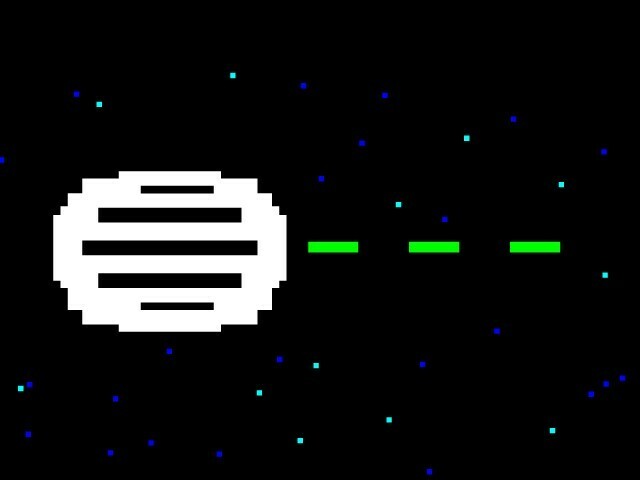 It requires navigational skills, an arsenal of mechanical know-how, and an inextinguishable desire to keep moving forward. In other words, Dirty Kanza doesn’t care about a rider’s gender. It simply exists. The onus is on riders to acquire all the necessary skills to emerge victorious, and the fact is that men and women are able to do that equally as well. 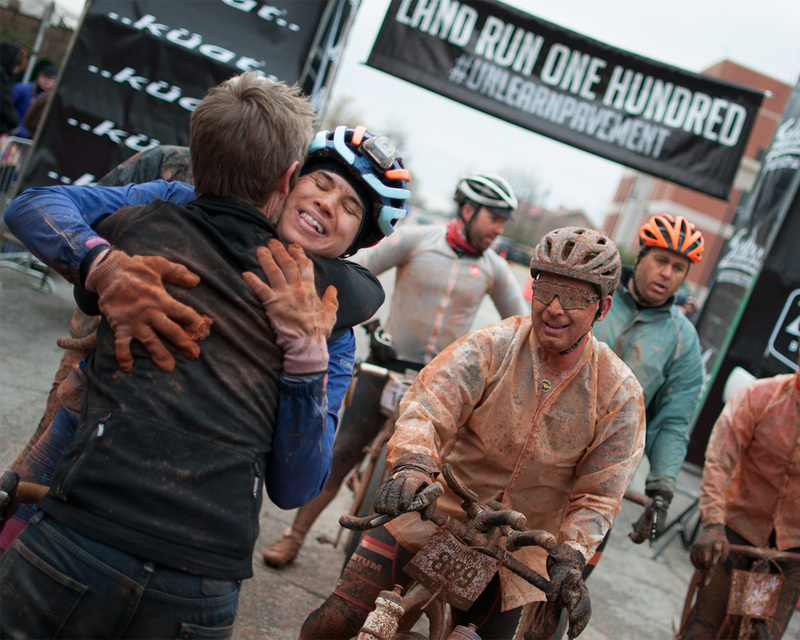 Inspired by races like LandRun 100 and Gravel Worlds, which have their own strategies for increasing their women’s fields, Dirty Kanza organizers decided to create an opportunity for more women to race the 200-mile distance. With that, the #200women200miles movement was born. Kelsey Phillips along with other Chicago-area women train to complete the 2017 Dirty Kanza 200 on single speed bikes. 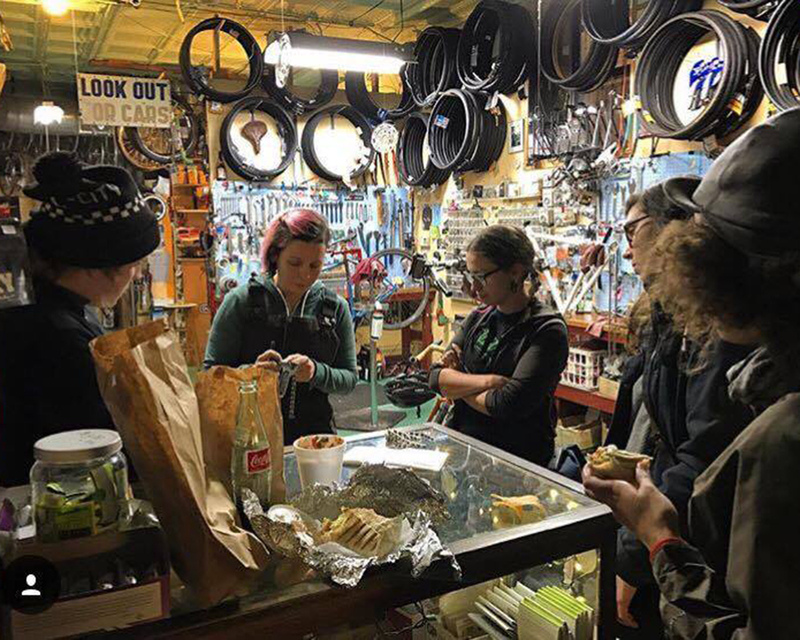 Mary Randall of Boulevard Bikes in Chicago hosts a women’s maintenance night focused on teaching riders gravel-related skills. Some see a flat tire, others see a tanning opportunity. Andrea Cohen crushes her way through the Flint Hills of Kansas on her Salsa Warbird. Some of the ways Cummins and Dains piqued the interest of women was by telling the stories of other women who’ve participated in the Dirty Kanza 200, talking about the identical finish rates, and creating a series of rider profiles to keep stoke levels high. 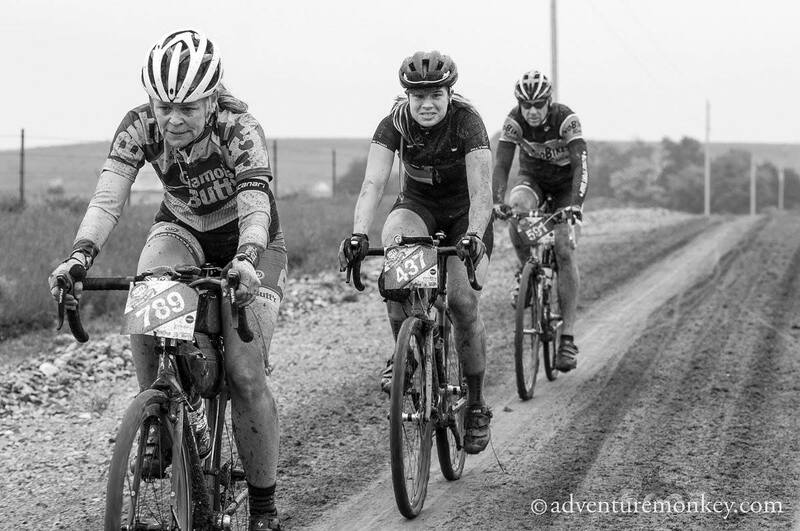 While Cummins and Dains were optimistic that the initiative would have a positive impact on the number of women riding the Dirty Kanza 200, they did not expect it to pick up steam the way it did. “In 2016 we had 95 women in our 200-mile event. When we created #200women200miles, we assumed it was going to be a multi-year initiative. We thought it would take at least 2 years to go from 95 to 200. It basically took 1 hour,” says Cummins. Why this perceived sudden growth? After the identical finish rates and comparable finish times between men and women for the 200-mile race were publicized, more women racers began to realize that they had been seriously underestimating their abilities to be successful in gravel. Race organizers, on the other hand, realized they had enormous opportunity to benefit from this relatively untapped market. And so, with a little boost of confidence and 200 reserved spots, the #200women200miles initiative saw near-instant success. “For me, gravel was something where I could kind of pick my own level and I was never really forced into a category. 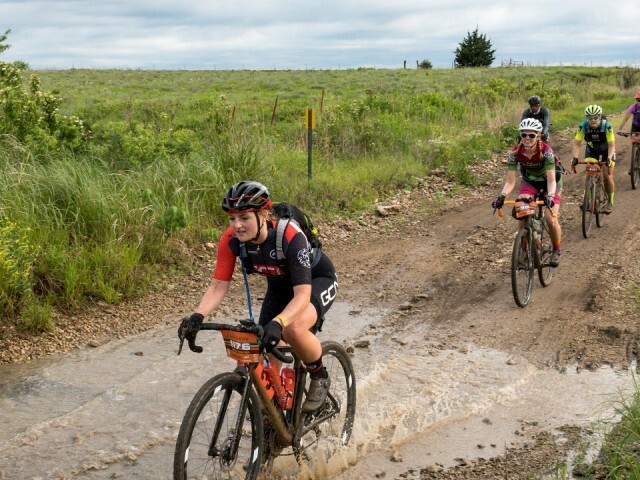 It’s you racing against yourself or you racing against other people if you want,” says Andrea Cohen, three-time Dirty Kanza 200 racer and Salsa-sponsored rider. 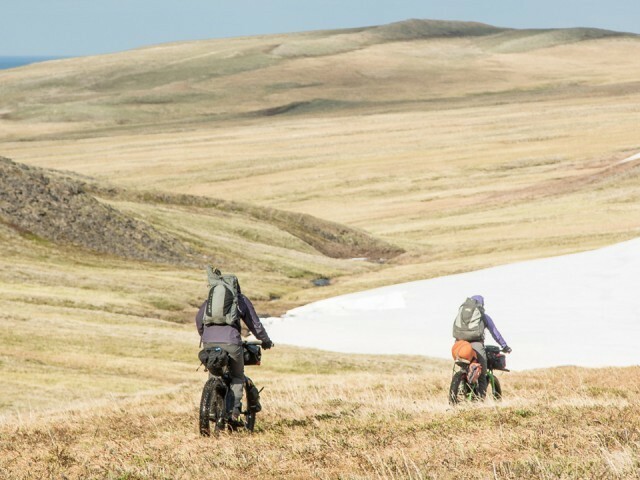 Gravel racing appeals to women riders, in part, due to its stripped-down nature. Without factors like race categories, varying race lengths for each gender, neutral support, and other common facets of bike racing, all riders must depend on themselves and overcome the same obstacles to reach the finish line. Simply put, with every racer riding the same course at the same time with the same level of support, gravel racing is bike racing in its purest form. “Gravel racing is more for glory than standing on a podium. It kind of goes back to ‘kids in your neighborhood’ style racing,” says Kelsey Phillips, first time 2017 Dirty Kanza racer and All-City-sponsored rider. While gravel races are pretty straightforward as far as the race itself goes, there are tons of variables that go into finishing the race. Having mechanical abilities, navigational skills, nutritional knowledge, familiarity with different types of gear, and a solid fitness level are crucial to completing races like Dirty Kanza. One of the most reliable places for women riders to go to gain these skills are bike shops with inclusive, helpful, and knowledgeable employees. 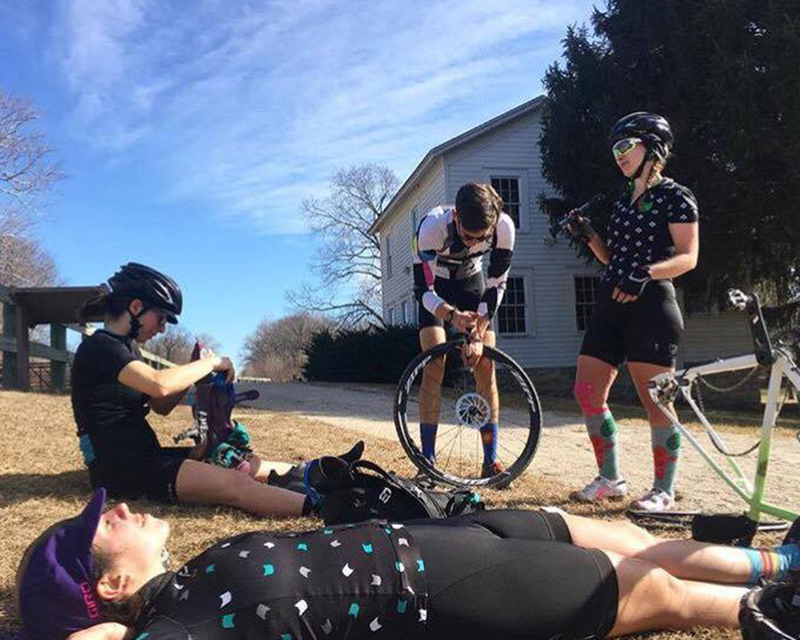 If your shop embraces these criteria, it will have a massive opportunity to welcome female riders in to the gravel community, creating a new loyal customer base in the process and expanding your ability to appeal to all kinds of riders. Why go to all the trouble? Besides gaining customers you otherwise wouldn’t have, supporting women in gravel helps to bolster a stronger gravel scene in your community. With a thriving community of diverse individuals, your shop has the chance to gain additional traffic, operate as a social cycling hub, and serve the cycling-related needs of your region. “I think that having female employees is a huge thing that more shops can and should do. A lot of women come into shops and feel like no one is listening to them and probably because a lot of guys aren’t. They’re just waiting for their chance to explain to you rather than listening to what you actually want and that’s where women can make a big difference in the shop environment,” says Mary Randall of Boulevard Bikes in Chicago. In addition to often being better listeners, women shop employees also have the upper hand when it comes to recommending women’s-specific product like shorts, saddles, and shoes. In a longer race like Dirty Kanza, having those contact points dialed in could be the difference between dropping out at mile 30 or finishing all 200. Many gravel races are self-supported, meaning riders need to carry with them all the tools, repair equipment, and supplies they’ll need. That means that, if you get a flat tire at 150 miles into a 200-mile race, you are responsible for fixing it. “A couple years ago when I was preparing for Trans Iowa I took a maintenance class at a bike shop. And I said out loud that I wasn’t going to bring any tool that I didn’t know how to use. Which at the time was a chain tool. It’s okay to admit that ‘I don’t know how to use a quick link yet, but I will eventually,’” explains Cohen. The idea of being responsible for fixing any possible mechanical scenario that can happen to a bike can be incredibly intimidating. Equally as daunting is admitting to an experienced bike mechanic that you don’t yet know how to repair various mechanical issues. “There’s an intimidation factor to admitting that you don’t know how to change a flat tire on a bike. You have to go into a shop and admit ‘I don’t know how to do this,’” says Dains. Hosting a women-friendly maintenance clinic is a great way to get women riders in your shop and feeling comfortable with basic roadside repairs. Along with teaching how to fix a flat tire, Mary Randall of Boulevard Bikes recommends showing customers who are interested in racing gravel how to repair a broken chain, boot a tire, and what kinds of tools and spare parts to have on hand while out riding. From using cue cards to tire recommendations, there are many unique factors that come into play when planning for gravel racing. Make sure your employees are familiar with these and, more importantly, have experience with them! In addition to “being the expert” on gravel racing, it’s crucial for bike shop employees to listen to their customers’ desires and needs. Because every rider’s nutrition, anatomy, fitness, mental fortitude, maintenance and navigation skills are different, it’s important to fully listen to what they’re telling you before offering advice or suggestions. Balancing listening to your customer with offering first-hand advice can be tricky, but once accomplished, you’ll have happier customers and a more inclusive shop environment. “I literally go to my local bike shop in Chicago like once a week just to switch out different things and ask questions. It’s really important to have a shop that supports you and knows what your goals are,” says Phillips. Check out Andrea’s and Kelsey’s rides below along with the kinds of gear QBP recommends for gravel racing. Warbird is Salsa's gravel race bike, built off years of experience racing in some of the nation’s premier gravel events. Available to authorized Salsa dealers only. Click here for more Warbird details. The Gas Tank offers quick, one-handed access while riding. Hydration reservoir made for light and fast activities. GO FAR is the simple all in one isotonic solution for endurance athletes that want to go all day long, on a single formula. The Riddler 700c is just as ready for the local cross course as it is spinning down an empty gravel B-road. Redshift QR Aero Bars are simple to install and remove for versatility. Disc brakes, one gear, tons of fun. When the going gets gnarly, the Nature Boy Disc is ready for the challenge. An adjustable-stiffness suspension stem that smooths out your ride; perfect for performance cyclists, recreational riders, and commuters. T1 Plus Aluminum Aerobars wih a double-ski bend shape allow riders to get in a lower rider position minimizing drag. Jandd Map Pocket Bag Holds maps and attaches to handlebars or to a bag. Women's high-performance, lightweight, and streamlined hydration pack. For the toughest days of gravel, when winning looks like finishing, we created the Cannonball. Sport specific, lightweight vest is made from windproof and breathable Diamond Air fabric with Light Mesh Airdry and Micromesh for high wicking ability. *The term “women” in this article applies to all woman-identifying individuals.